Valentine’s Day is just around the corner, and many Sioux Falls residents are searching for just the right present to give their friends and loved ones. Flowers, jewelry, and candy are standard go-to items for this special holiday, but spa gifts can be equally, if not more, thoughtful and appreciated. At Radiance Day Spa, we offer a wide variety of spa services that make excellent Valentine’s Day gifts, and in today’s post, we’ll review a few treatments that your Valentine is sure to love. Read on to learn more and call today to purchase your treatment! Nothing says “I love you” or “I appreciate you” better than a complimentary spa service, and we’ve explored a few of the more popular choices below. Do you know someone who works outdoors during the chilly winter months, someone who works a desk job, or someone who has a labor-intensive career? If so, gifting him or her with something as simple as a facial, massage, or nail care retreat might be just the push that he or she needs to begin a regimen of self-care. When your recipient experiences the benefits that accompany a signature facial, a relaxation massage, or a spa-quality manicure and pedicure, he or she will appreciate your thoughtful spa gift. Valentine’s Day is a winter holiday that many people look forward to as it provides an opportunity to dote on that special someone after the hectic holiday season is over. If your love enjoys spa treatments that incorporate natural ingredients such as seaweed, clay, and other herbs and minerals, gifting him or her with a body therapy treatment is sure to put a smile on his or her face. Because many body therapy treatments encourage detoxification and lymphatic stimulation, your sweetheart won’t believe how good he or she feels following the therapeutic treatment. Today’s fast-paced world often leaves us feeling exhausted, over-stimulated, and stressed at the end of the day. A flotation therapy session or two may be all your loved one needs to help ease stress, anxiety, and muscle tension following a long day at the office. Flotation pools provide a gravity-free sensation in a dark, quiet environment that will allow your love to experience complete relaxation, clarity, and improved focus, allowing him or her an escape from worldly distractions. There are some recipients who can be difficult to shop for, or those who may be very particular about the types of spa therapies they prefer. If you are involved in a fairly new relationship, or if you have a friend or family member who would prefer to choose his or her own spa treatments, spa gift cards are the perfect Valentine’s Day gift. With a gift card, your recipient will be free to schedule the spa services that he or she feels will be most relaxing and provide the most health benefits for his or her unique needs. Sioux Falls Spa Gifts and More! Are you searching for the perfect Valentine’s Day present for your sweetheart? 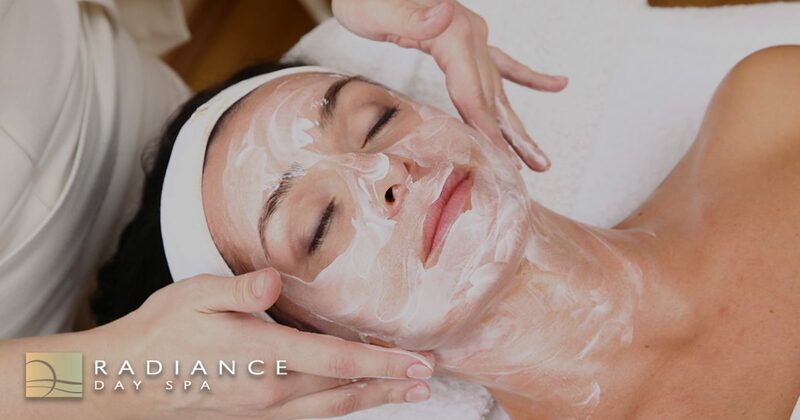 Look no further than the luxury spa services offered at Radiance Day Spa! Our spa treatments are all your loved ones need to help them relax, rejuvenate, and revitalize themselves this holiday, and your recipients will appreciate how much you care about their wellbeing. Call 605-385-0065 today to learn more about our available spa gifts!